Steinway Lyngdorf was founded by Peter Lyngdorf in 2005 and the company is headquartered in Denmark. The company was formed in collaboration with Steinway & Sons and are the only products in the world to carry the Steinway & Sons logo outside of Steinway & Sons pianos. 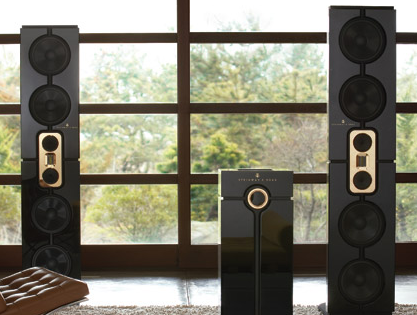 Steinway Lyngdorf is focused on the design and manufacture of innovative, high-performance digital audio systems that successfully combine design artistry and the finest craftsmanship with perfected technology. The company offers a full range of music and home theater systems which provide a choice of in-wall, on-wall, in-ceiling, bookshelf, and free-standing speakers, as well as multi-channel and stereo processors, all powered by fully digital amplifiers.